UPDATE: I wrote this post 5 years ago today, on September 9, 2013. On it’s anniversary, I thought it deserved a second go-around! Much of the cottage is the same as it was 5 years ago. 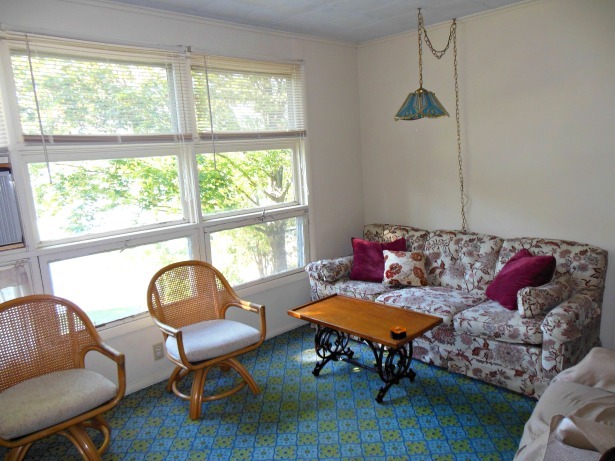 One big change that happened at the beginning of the summer – new windows in the living room! They are fabulous, and really opened up the view of the lake. 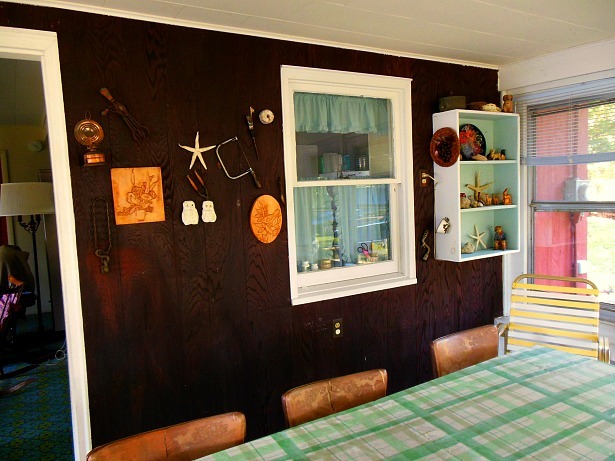 I hope you enjoy this nostalgic look at our family’s lake cottage! I’ll have to admit to being a little bit sad this time of year. Summer is over, and that means winter is just around the corner. Spring and summer are definitely my favorite seasons. I love spring when the weather turns warm, trees start to flower and leaf out, and the grass turns green again. 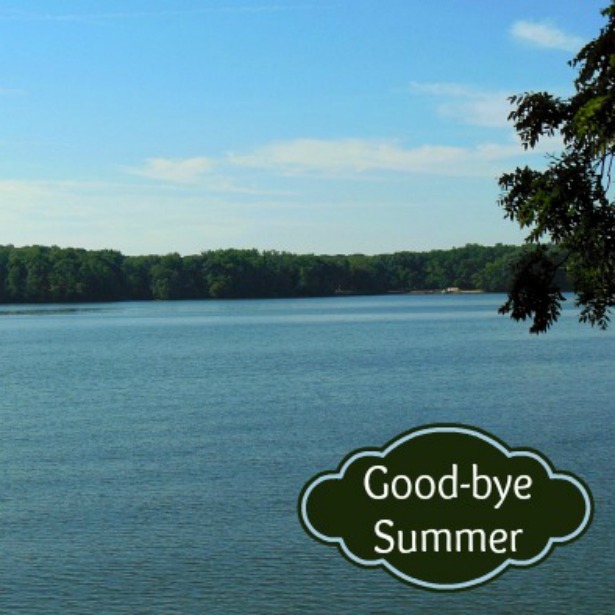 One of the reasons that summer is special to me, is because we get to spend time at our family’s lake house. 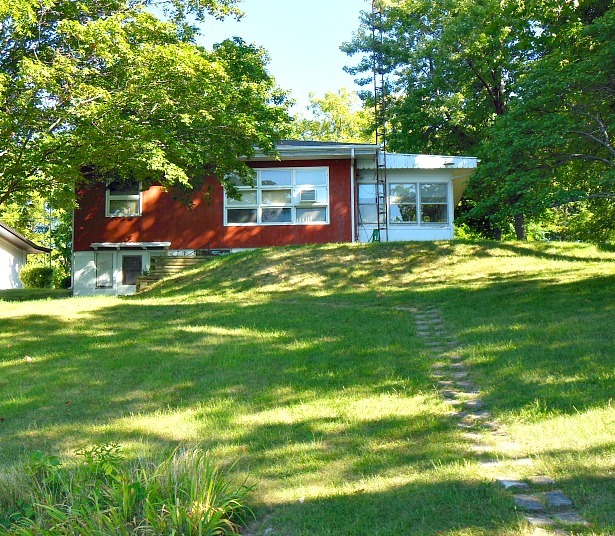 The lake house has been in our family since my grandparent’s bought it over 50 years ago. They lived in Florida during the winter, and would spend the rest of the year at the lake house in Illinois. The house is not fancy, just a little cottage really. It has no insulation, so spending any time there in the winter is out of the question. It will never win any awards for having beautiful, fancy interiors, or be featured in home decor magazines, but we all love it because it holds so many wonderful memories for our family. It has become somewhat of anamoly on a lake where most of the small, original houses are being torn down in favor of large, new houses. It is one of the few original cottages left. There have not been many changes to the house since my grandparents passed away more than 30 years ago, and that’s one of the things we love about it. It’s almost like stepping back through time. I have lot’s of great memories of visiting my grandparents here, and now my kids and grandkids are creating memories of the lake house too. It has what I consider to be one of the best views of the lake. The house is tiny as you can see. The living room has a great view of the lake. The kitchen is tiny too, but certainly functions fine for our needs. 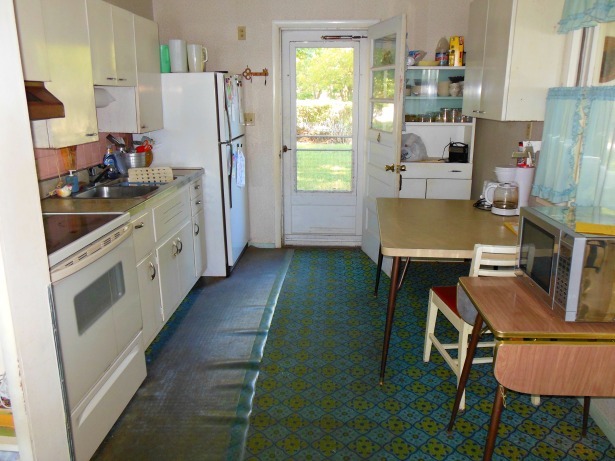 It still has the original cabinets, and pink backsplash. The blue carpeting runs throughout the living room, kitchen and one of the bedrooms. It has been on the floors for at least 45 years or so. It’s indestructable! But that’s good, because it gets a lot of abuse every summer. 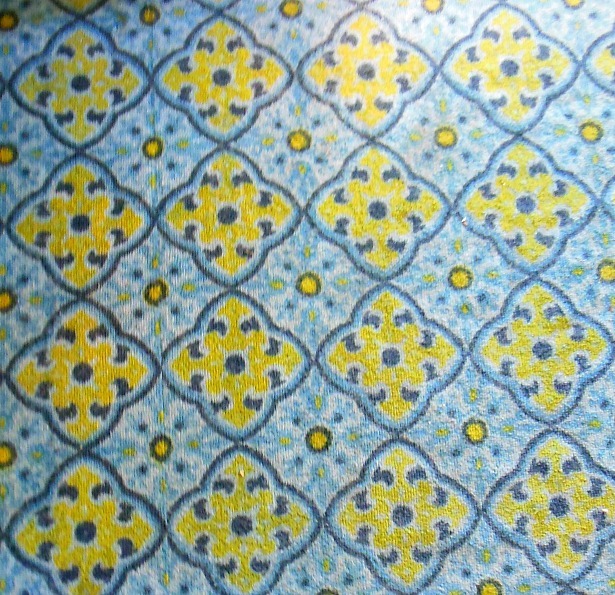 I had to laugh to myself the other day because I noticed for the first time that the carpet has a quatrefoil design to it, which is a really popular design trend right now. The porch is a favorite spot in the house. 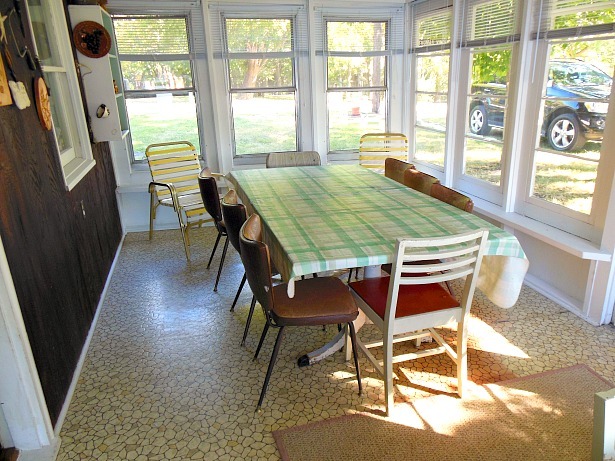 There have been many family meals eaten around this table, a lot of hanging out in wet swim suits, catching up with family members and lots of laughter. This room has remained pretty much unchanged since my grandparents lived here. 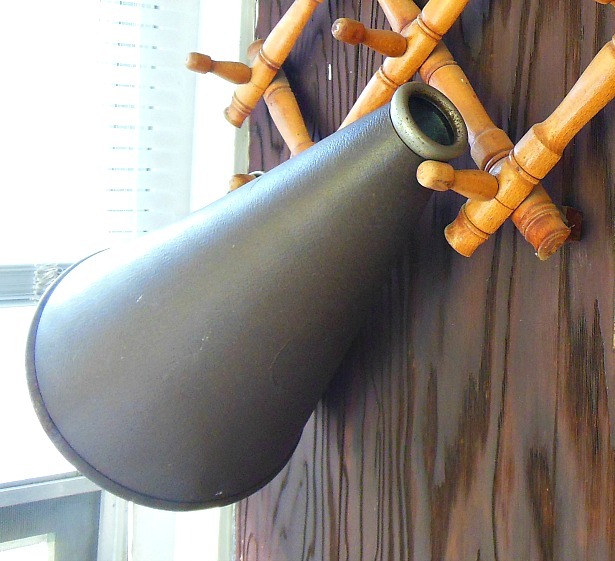 This megaphone has hung in this corner of the porch as long as I can remember. When I was little, the adults would use it to yell at rough housing kids who were swimming in the lake. It was pretty effective! I love this wall of objects. In the corner is what I think of as Grandma’s shelves. She made many of the items that are on the shelves. She loved to keep busy creating things. It seems like she was always making something with her hands. My grandpa was very creative too, and made many beautiful things out of wood. 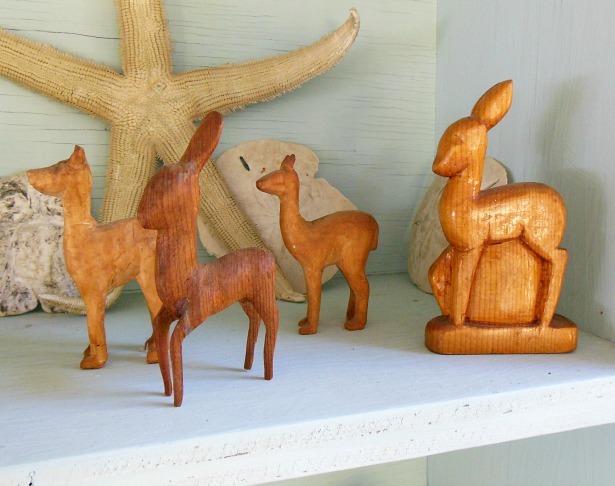 Here are some of Grandma’s wood carvings. Thanks for indulging my nostalgic tour of the lake house. It’s a house filled with lot’s of love and happy memories, which I’ll treasure forever. 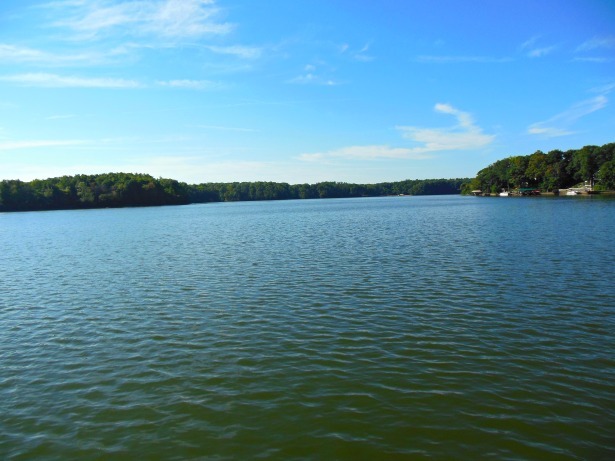 Do you have a favorite summer spot to spend time with family and friends? 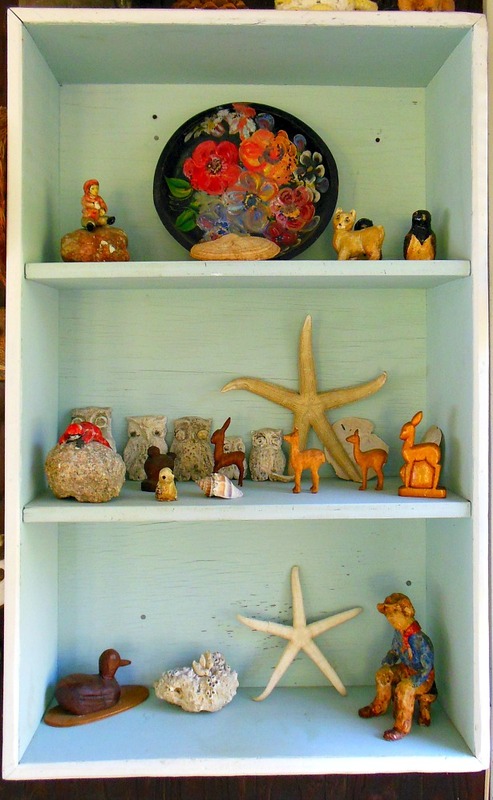 Love this Blog Jann! Family memories are the best. Thanks Chrystal! I agree, family memories are the best! 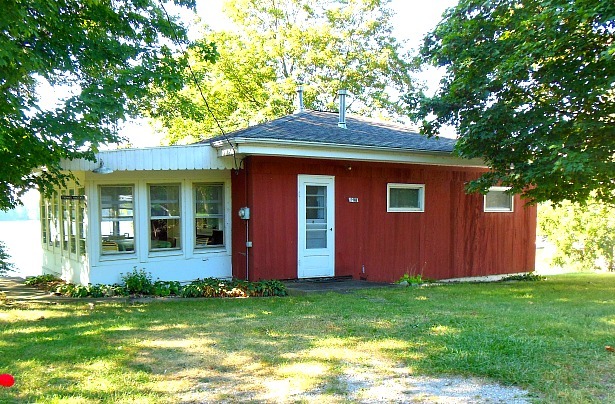 Jann, I absolutely love your lake cottage ! What a wonderful place and the lake looks beautiful. So sad to think people are tearing down the little cottages to build bigger houses. Bigger is not better. How lucky your family is to have this special place to spend time together. You must have inherited your creative talent from both of your grandparents. Thanks for sharing this. Thanks Stephanie! I will be doing a blog post about my maternal grandma soon, she was very creative too! She had the sewing talent. Thanks, Jann, I couldn’t stop crying while I was reading this. Thanks Susan! We are all very lucky to have this gem in the family. what a sweet cottage filled with treasure and memories, I can hear the laughter and the splashing. Hope it never changes! Good times. My family was never lucky enough to have a place for summer. Later in life my closest Aunt and Uncle had a “bungalow” at the Jersey shore and we would always spend the 4th of July week there, fireworks on the beach and crabbing off the dock. They no longer own it but my boy’s have great memories of that week. Confession, I am not a summer person and look forward to brisk day, walks in the woods and that white stuff coming down. We were in New England for 26 years and I do miss the Fall and Winters there. I don’t really have a favorite spot, I just enjoy going to the beach (whatever beach it is). But I’d love to have a cottage like this, seems like a great place to create memories!